Our experience is your benefit! With our automatic panel storage systems, the capacity and profitability of your company is increased. The staff and organizational effort for panel handling is reduced to a minimum, even in the case of a large range of panels and finishes. The HOLZ-HER STORE-MASTER panel storage system is suitable for a variety of formats and materials. The panels can be positioned by the manipulator in a chaotic as well as assorted structure. In each case, exactly the right panel is selected by a computer during removal. Your stock panels can be rotated easily by up to 90° and therefore stored in any desired direction. Damages to the panels are ruled out due to automatic, computer-controlled transport. Thanks to the intelligent design of the horizontal panel storage and automatic warehouse system virtually unlimited possible uses of the manipulator, completely new methods of innovative storage design are made available - tailored precisely to your requirements. Our system ensures perfect storage on up to three levels and can be used in all rooms with heights greater than three meters. Multiple machines can be charged and as many storage bins as desired set up for storage and retrieval. You can freely define the storage spaces for the stored panels. You can download a compilation of several STORE-MASTER projects in the download area. The various projects demonstrate how your own perfect solution could look. 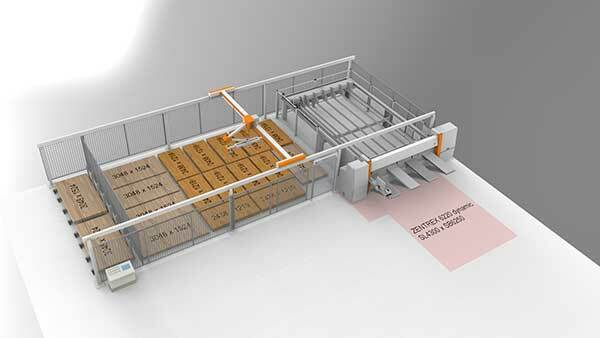 Each project includes a detailed 3D drawing with the basic technical details on the machines and specifications. 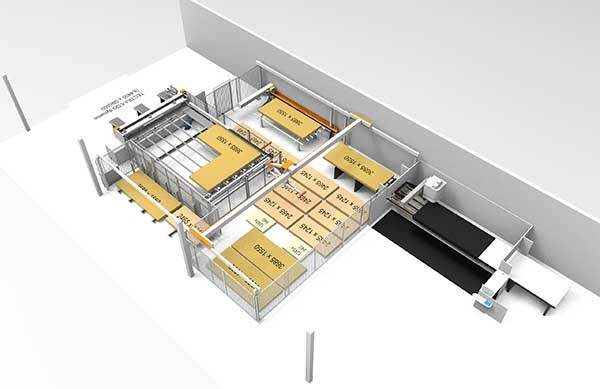 Moreover you can see the resources you can save with our fully automatic storage system. Convince yourself of the advantages of the various possibilities with the STORE-MASTER 5110 from HOLZ-HER. STORE-MASTER Ligna 2017 EN from HOLZ-HER GmbH on Vimeo.